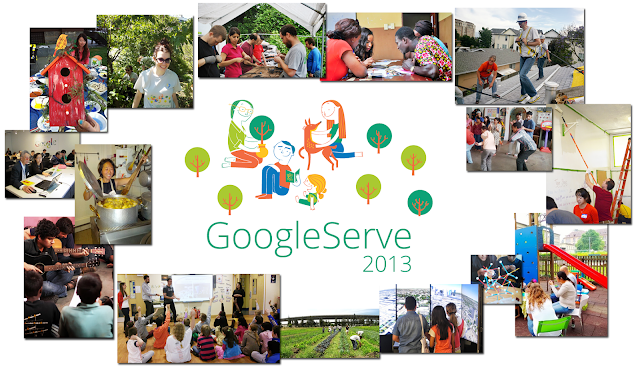 Over the past six years, GoogleServe has transformed from a single week of service into a week of celebration and inspiration for ongoing giving. Googlers also give back year-round through our GooglersGive programs which include 20 hours of work time annually to volunteer with an approved charitable organization. If you're inspired to join us, please check out All for Good or VolunteerMatch for opportunities to give back in your community. Chicago, IL - Dramatic reductions in type 1 diabetes complications, including cardiovascular events, achieved with intensive glycemic control in the landmark Diabetes Control and Complications Trial (DCCT) are still being seen—although to a somewhat lesser degree—nearly two decades after the study's end . After 18 years, the overall prevalence of diabetes complications is 50% lower among the type 1 diabetes patients in the DCCT who were randomized to intensive glucose control compared with those who received conventional treatment, despite the fact that HbA1c levels are no longer different between the two study groups. The findings were presented here at the American Diabetes Association (ADA) 2013 Scientific Sessions. Even after so many years, "the message is exactly the same," DCCT/EDIC biostatistician Dr John M Lachin (George Washington University, Rockville, MD) said in an interview. "The HbA1c matters today, tomorrow, and for many, many years to come. It matters." The new data come from the DCCT's long-term follow-up study Epidemiology of Diabetes Interventions and Complications (EDIC), which began in 1994, the year after DCCT ended. Glycemic control in the two groups became roughly the same soon after patients went back to their communities for care, so EDIC is measuring the ongoing impact of glycemic control in the initial study's 10 years, a phenomenon investigators have dubbed "metabolic memory." Previously reported end points of retinopathy, nephropathy, neuropathy, and cardiovascular disease continue to be reduced among those originally in the intensive-treatment group, albeit to a lesser degree than in previous EDIC analyses in 2000 . The investigators are also looking at mortality in EDIC, with results under embargo, as they are due to be published soon. However, Lachin did divulge that there is no increased mortality among the intensive-treatment group, a phenomenon that has been seen in some trials involving patients with type 2 diabetes. EDIC coordinating center principal investigator, Dr Rose Gubitosi-Klug (Case Western Reserve University School of Medicine, Cleveland, OH), said: "In some ways, it's surprising how it's gone on this long. [The original DCCT investigators] expected the effect to wane after 10 or 12 years. But here we are at 18 years, and we still have significant risk reduction. Although it's starting to decrease over time, there's still a significant reduction. It's fantastic." 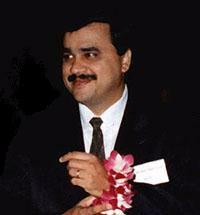 The lesson from all of it, said Gubitosi-Klug, is: "Start intensive diabetes management as soon as safely possible." The original DCCT involved 1441 patients with type 1 diabetes. After DCCT ended, patients who had been in the conventional-treatment group were instructed in intensive glycemic control. Their average HbA1c levels dropped to about 8%. At the same time, control worsened in the original intensive-control group to about 8%. That level has remained relatively unchanged during EDIC. In the original DCCT study, intensive glycemic control—resulting in a mean HbA1c of about 7%—reduced the risk for retinopathy, nephropathy, and neuropathy compared with the conventional-treatment group, whose HbA1c averaged about 9%. At the time DCCT ended, it was too soon to assess CVD outcomes in the still relatively young study population, Lachin explained. As reported in 2005, however, nine years into EDIC, there was a 42% decrease in any cardiovascular event and a 57% reduced risk for nonfatal heart attack, stroke, or death from cardiovascular causes. Extending those analyses through 2012, those same risk reductions are 33% and 35%, "both still statistically significant and of course clinically meaningful," Lachin observed. Previously published EDIC analyses have shown benefits of intensive glycemic control in carotid intimal-medial thickness and cardiac function , he added. All the currently monitored end points will continue to be followed, with cardiovascular end points expected to become more prevalent in the now middle-aged study population. The intensive-treatment group has also enjoyed lasting benefits in terms of neurologic, renal, and retinopathy end points. Both the DCCT and the EDIC are funded by the US National Institutes of Health. Lachin is a board member of Boehringer Ingelheim, Eli Lilly, Gilead, GlaxoSmithKline, Janssen, Merck, Novartis, and Reata and is a consultant for Andromeda Biotech and Magellan Health Services. Art, Copy & Code: sending kisses around the world: Thanks to modern technology you can connect with your loved ones by sending a quick note, a photo of your cat, even a smile :) around the world in seconds. But one of humanity’s most iconic forms of communication—the kiss—has been left out in the cold. 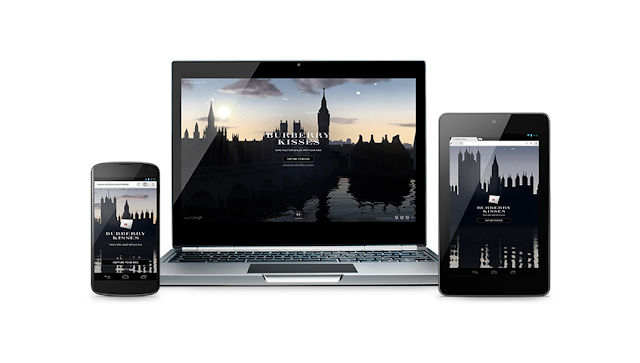 Now, though, you can send a kiss to anyone, anywhere in the world, through Burberry Kisses, a new campaign from Burberry and Google. And not just any kiss, but your kiss. The effects of malnutrition on a child’s health and resistance to disease are well known. But what about how it affects a child’s ability to thrive? A new report out today by Save the Children UK, Food for Thought, draws the links between malnutrition and a child’s potential to learn and thrive. A key finding of the report: Malnourished children aged 8 are 20% less likely to be able to read a simple sentence than their well-nourished peers. This is the sad truth about malnutrition: not only are malnourished kids more susceptible to disease and death, but those who survive learn and earn less than their peers. The report finds that children who are malnourished go on to earn at least 20% less as adults. This not only affects children – but whole economies: the report finds that malnutrition could cost the global economy as much as $125 billion when today’s children reach working age in 2030. We know that good nutrition in the first 1,000 Days is critical for children to grow up as empowered and productive members of society. The good news is that there are proven interventions – including ensuring maternal health before and during pregnancy; exclusive breastfeeding in the first six months of a child’s life; and provision of appropriate, nutritious complementary foods after six months – that can help stop malnutrition in its tracks. Donors, developing countries, the scientific community, and business will come together on the 8th to pledge to do more to addressing malnutrition. Not only will fighting malnutrition help save lives, it will also help children achieve their potential. Helping passwords better protect you: Knowing how to stay safe and secure online is important, which is why we created our Good to Know site with advice and tips for safe and savvy Internet use. Starting today, we'll also be posting regularly with privacy and security tips. We hope this information helps you understand the choices and control that you have over your online information. -Ed.